Jill Rogers of Minneapolis died Thursday, April 4, 2019, in Golden Valley. She was 52. A remembrance service will be held at 2 p.m. Friday, April 12, at Dingmann Funeral Care Chapel in Annandale. Visitation will be held one hour prior to the service at the funeral chapel. Jill Andrea Rogers was born April 2, 1967, in Minneapolis to Duane Johnson and Stephanie Maus. Jill grew up in Isanti and has lived most of her life in Minneapolis. Jill is survived by her children Erick Johnson of Brownton, April Rogers of Mound, Martez Rogers of Atlanta, Ga., and Nathan Rogers of New York, NY; father Duane Johnson of Kimball; stepmother Alison Kemery Johnson of Kimball; boyfriend Willie Patterson of Minneapolis; and six grandchildren. 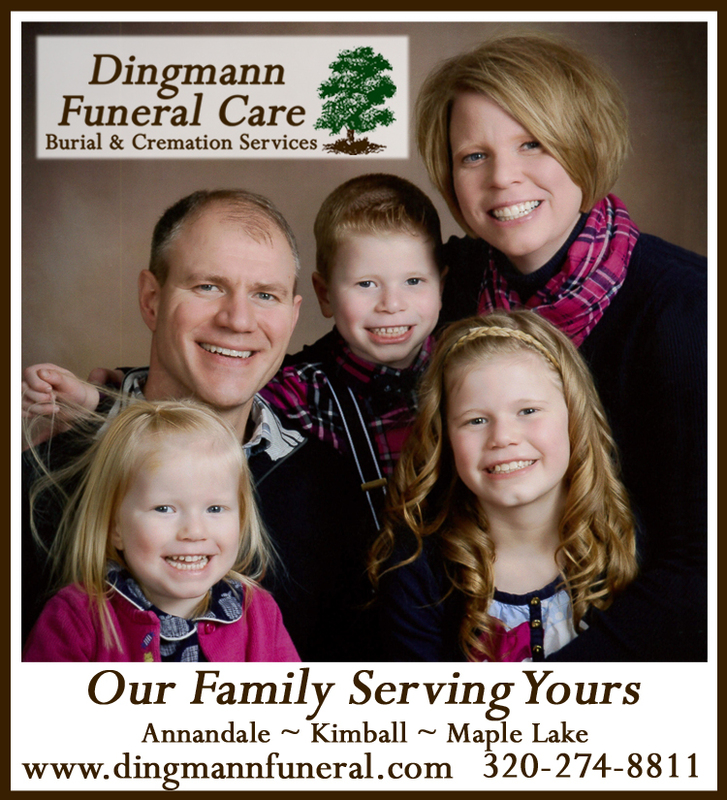 Arrangements were entrusted with Dingmann Funeral Care Burial & Cremation Services of Annandale.